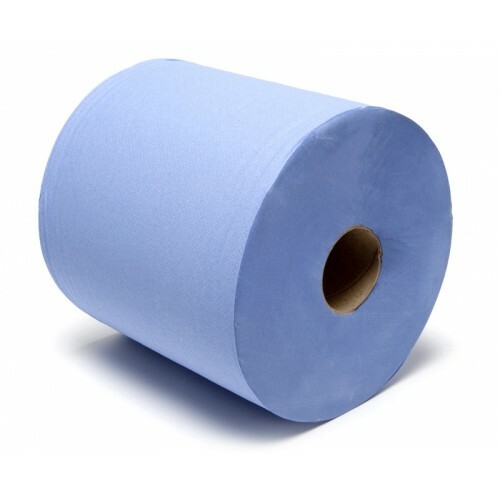 This 2ply blue centre feed is fantastic value for money and suitable for use in commercial kitchens, canteens, or at home, the length of the roll is 140m in length and there are 6 rolls per case. The paper is 100% recycled its extremely absorbent soft to touch but strong, it is versatile and ideal for general wiping in any environment. The roll can fit most centre feed dispensers and we can supply dispensers on request, the sheet size is 200x195mm and there are 700 sheets per roll. This is an economic solution to your kitchen's needs and pallet deals are available on request.